Museums all have their secrets whether they are stuffed in the vaults or displayed in plain sight for anyone to see. These 10 books go inside and behind-the-scenes of major museums to explore how art is collected, what has been stolen, what recent museum scandals have exposed, as well as what museum collections mean to historians and writers today. These books will serve as intriguing accompaniments for museums you may know well and offer fascinating insight into museums you have yet to explore. This is a juicy read about the collectors and directors that have assembled one of the world's greatest collections of art since 1870. A tremendous amount of research went into each story and much of readers will discover is surprising. Rogue's Gallery is also chock full of anecdotes like how the Rochefoucauld family sold the Unicorn Tapestries to John D. Rockefeller, Jr so they could obtain the funds needed to build a miniature golf course. For art lovers who know the Metropolitan Museum of Art well, this book is a thrilling read from cover to cover. The biggest museum heist and open mystery remains the robbery of the Isabella Stewart Gardner Museum in Boston. Posing as police officers, two men broke into the museum just before midnight on March 18, 1990. They walked away with a dozen masterpieces including one Vermeer, three Rembrandts, and five Degas, the total value of the paintings have been estimated at $500 million. Author Ulrich Boser takes a painstakingly close look at the crime and the clues. He explores over a thousand unfinished leads and travels deep into the criminal world that surrounds art museums and collections. This is highly recommended for readers who love true crime stories. 26 years later, the famous Gardener Heist remains unsolved and all of the works are still missing. Belle da Costa Greene was the librarian who helped build one of the greatest book collections in the world, what is today's Morgan Library & Museum. It was considered unusual that someone so young and inexperienced would have been hired by Morgan, but it has only recently come to light that Greene was African-American who attributed her skin color to a false Portuguese heritage. This biography traces her previously unknown life through her adventures in highest circles of the art and museum world. Thomas Hoving began his career at the Metropolitan Museum of Art as a medieval art curator at The Cloisters but eventually became Director. Under his tenure, he created the first "blockbuster" museum exhibition with treasures from King Tutankhamun's tomb from Egypt to New York. Always a controversial character in the museum world, Hoving wrote several books about his time helming The Met which remain beloved by readers even if his books are now mostly out-of-print. This is a must-read for anyone who wants to know what goes on behind-the-scenes of an art museum as Hoving fully divulges on how the sausage gets made in the buying and selling of famous works of art. The biggest controversy in the museum world today remains pieces of looted classical art currently on display in several of America's finest museums. After it was revealed that the Getty had been buying looted art for decades, museums like The Met began to voluntarily return works of art valued at half a billion dollars. This book written by two investigative reporters from the Los Angeles Times is full of scandalous revelations about the inner workings of the Getty's dealings in the black market. It spares no one and reads like a thriller though every grimy detail is true. Chasing Aphrodite will interest readers who enjoy true crime, Greek and Roman art and behind-the-scenes stories from the art world. This book is truly a look at the dark side of art collecting. The British Museum in London has an enormous collection that spans art, archaeology and natural history which allows the entire history of the world to be explored within its collection. Written by Director Neil MacGregor with contributions from all the museum's curators, it explores when people first began to wear jewelry, develop cities, math, and money. Part catalog of the collection, part adventure story, it points out turning points in human civilizations while also highlighting places of interconnectivity. In addition to being a bestselling book in the United Kingdom, it has also been turned into a radio broadcast and popular podcast which can be used as a companion to the book. Literary lovers will adore this collection of essays about museums from writers including Julian Barnes, Ali Smith, William Boyd and Allison Pearson. Stories about adventure, discovery include Patchett's tale about love inside the Harvard Museum of Natural History and Neil Gaman's admiration of British Outsider artists Richard Dadd's in the Tate Britain's Pre-Raphaelite museum. Each essay reveals much about both the author and a museum collection. At the end, the world of museums feels more vital than ever as memory palaces that continue to inspire creativity. Treasure Palaces is especially good for the armchair traveler who wishes to zoom around the world's great collections without leaving home. The most exciting museum opening of 2016 was no doubt the National Museum of African American History and Culture, part of the Smithsonian in Washington D.C. For many who believed this museum was too long coming, it was met with resounding praise from critics and will a major museum travel destination in 2017 and beyond. The book explores how the long history behind the museum's development as a permanent place to collect, study and display African American history. The story begins in 2003 when the museum was officially established and follow its search for a director, an architect, and curators who could best tell a story that had gone untold for far too long. Contemporary art lovers rejoice, Seven Days in the Art World which has been a worldwide bestseller dishes on the fast-paced, big money world of contemporary art in both galleries and museums. Written by a contributor to Artforum and The New Yorker, the narrative explores fashion, high society and the dizzying parties and art fairs that fuel collectors. If you've ever wondered what it's like to rub elbows with living artists while competing with other collectors and museums for their art at auctions, this book was written for you. The movie "Lady in Gold" starring Helen Mirren is based on this book which chronicles the true story of art patron Adele Bloch-Bauer. Now referred to as New York's Mona Lisa, the painting by Gustav Klimt is in the permanent collection of Manhattan's Neue Galerie. In fin de siècle Vienna, Adele Bloch Bauer was a wealthy hostess of artist salons. An unusually well-educated woman, she was a member of Jewish Viennese society and directly commissioned Klimt to paint her portrait. He made more than a hundred sketches of her while developing the final masterpiece and included symbols in color and gold inspired by Byzantine mosaics. The end result was that he enshrined Bloch-Bauer in what would become his signature style making it his most famous painting next to "The Kiss." 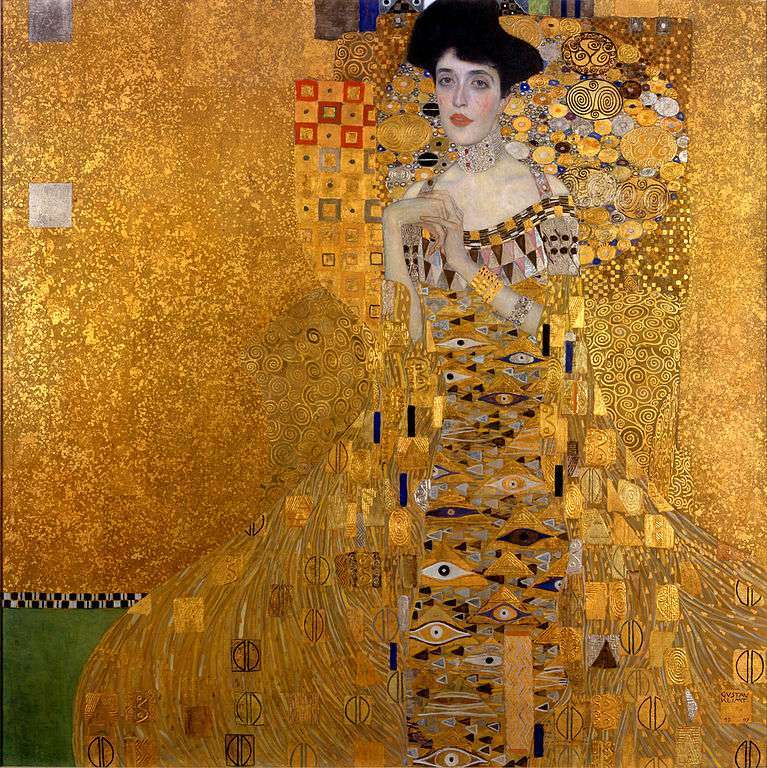 The painting was seized by the Nazis and renamed "The Lady in Gold" so as to obscure the Jewish name of the painting's subject. Rather than being destroyed, it was displayed in Vienna's Baroque Belvedere Palace which was reconsecrated as a Nazi art institution. The book then traces the sixty years since the painting was confiscated by the Nazis, the decade-long litigation between the Austrian government and the Bloch-Bauer heirs as well as how the United States Supreme Court got involved in the case, setting a new precedent for controversial art cases around the world. Finally, it ends with the painting's sale to Ronald Lauder for $135 million. This social history of a famous artwork brings us from the glittering world of turn-of-the-century Vienna to the museum world on contemporary New York with all the twists and turns along the way. A fascinating story for art and museum lovers all the way through.